"Chubby Stick Moisturizing Lip Colour Balm's highly moisturising formula uses a special blend of decadent butters, oils and antioxidants to help protect and pamper lips with immediate and lasting moisturisation. Infused with Shea Butter, Mango Seed Butter and Jojoba Seed Oil, Chubby Stick delivers a surge of moisture in a sleek stick leaving lips soft, supple and soothed." Chubby Sticks are packaged very cutely and conveniently in a chunky twist up crayon style barrel. The formula is wonderful and feels FANTASTIC when applied - it isn't sticky and it's super moisturising. The colour is quite sheer so don't be afraid of how dark it looks as it gives a subtle sheen of colour. They act and feel like a lip balm but are WAY better! Brown lip colours don't usually tend to work on me but Whole Lotta Honey is just right! It gives my lips a rosy "my lips but better" look which I love and there's a hint of shine too. I love wearing it just on it's own with minimal makeup for a no fuss look. 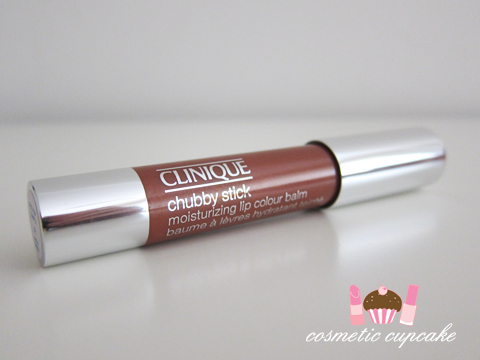 Overall: From the minute I first applied my Chubby Stick it was just pure LOVE! They are super moisturising and make my lips feel and look fantastic giving the perfect hint of colour to my lips. I love the packaging as it's great to apply on the go. Without a mirror, I always stuff my lip products up but with this I can apply it well even without one! I find myself wearing this most often at work as I still want to look great but I just don't have the time to stop and apply my lip colour regularly. I apply it when I get to work at 8am and I find it starts to dry out by about lunchtime which is pretty good considering I work in a heavily air-conditioned environment (hospitals - what can I say!) and drink quite a lot. 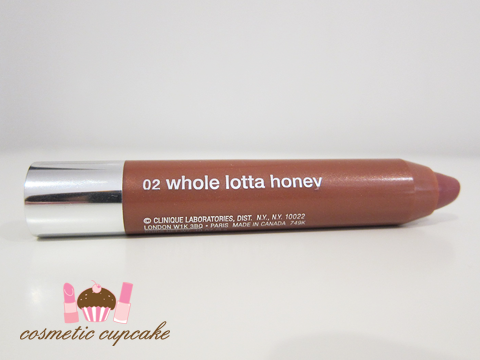 Whole Lotta Honey makes my lips look lovely without being overdone which is ideal as I don't wear too much makeup at work but I still want to look polished and presentable! Will I repurchase? : HECK YES!!! Did I mention how much I love Chubby Sticks?? I will be purchasing Woppin' Watermelon, Super Strawberry and Mega Melon and quite possibly the others too if my budget will allow me! I can't purchase any at the moment doh but I will be stocking up on these very very soon don't worry! I cannot recommend them enough - they are a must have product for 2011. Clinique Chubby Sticks are available in 8 shades from today 10 April 2011. They can be purchased from www.clinique.com.au and Clinique counters Australia wide for $35. They are available for purchase in the US from www.clinique.com for $15US and in Hong Kong from www.clinique.com.hk and Clinique counters for $130HK. A big thank you to Clinique for providing me with the above product to sample! The product was give to me for my consideration but this in no way influenced my review in any way. As always, my reviews are my 100% honest opinion. Will you be purchasing any Chubby Sticks? Which ones will you be getting? Thanks for looking as always and don't forget to enter my Glitter Gal giveaway! 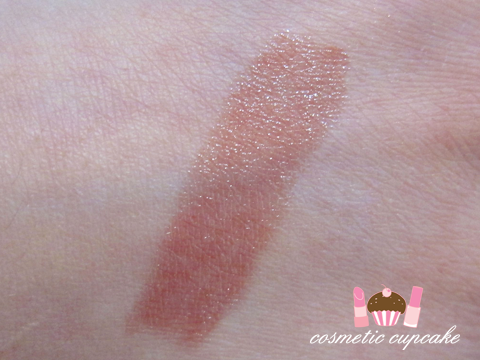 I LOVE that this is an actual STICK, it looks perfect for work or even layering over lipstick. I must check these out when they are released. I agree with Ling, the price hike here is absurd. That said, DO WANT. They look GORGEOUS!!!!! Gonna add them to my wishlist too!!!! It's ridiculous how it costs more than double to get it here in AUS! It's a great colour and I've heard good things about the product - plus the crayon is so cute! That said, I refuse to buy one given the price hike from $15 to $35 in Australia. Ridiculous. This sounds amazing :o Thank you for the review! I went into Myer last Thursday and tried these and I am in LOVE! Such nice colours and I love the application, I must buy one when my purse allows me! Pink and purple rose manicure and my new layout!